It had been one of those mornings. You know the kind. The kind of the morning when the attitudes and behavior displayed by your children drive you to despair that they will ever become productive, law abiding citizens. There was complaining – about everything. There was selfishness – lots of selfishness. Oh, and did I mention complaining? All of these things were made exponentially worse by the fact that all 6 of my kids were in the mix. As we loaded the car later that morning and headed to my co-op teacher training at a local park, it was hard to muster a smile to cover the insecurity and doubt that I felt about my skills as a mother, a homeschooler and co-op teacher. It was a beautiful day and the kids eagerly scrambled out of the car onto the playground. I watched nervously as the other co-op teachers rambled in one by one, parking their cars and unloading their broods. I wonder if the 8-year old will get mad and push his brother? How long until the 5-year old begins whining? Will my awkward tween daughter engage with the other girls her age or will she hang out on her own being – well, awkward? One teacher’s daughter walked past noticing a mom-of-many littles struggling and offered her assistance. I observed with gratitude another teacher’s son being kind to my difficult 8-year old. Some of the teachers’ older boys started a game of soccer with the younger boys. Although I was blessed by the other teachers’ well-behaved children at the park, I also began comparing their behavior to my kids’ behavior earlier in the day and couldn’t help but feel even more discouraged. Our tutor meeting began with light chat and laughter. How I cherished these women! Each talented and beautiful in their own way, we talked about how school was going and how we were looking forward to Spring right around the corner. We poured over our lessons for the next quarter, marking notes and sharing teaching tips gained by our years of teaching. As we wrapped things up, one teacher’s son came over to lodge a complaint (the first one of the afternoon) against a sister who was insisting on having her own way. Another teacher commented how her kids (the helpful one earlier in my tale) had been having issues with stubbornness. One by one we began to share bits of our struggles with our own kids. One child had been on kitchen duty for 4 weeks as he stubbornly refused to do the job consistently without complaining. I could relate to that – but 4 weeks! That was pretty bad, yes? I scanned the horizon, as moms at parks are prone to do, counting heads, making sure all my babes were accounted for. I noticed my often stubborn son playing peacefully under the slides with another boy. My 5-year old leaned into my side, content to play with his toys quietly on the blanket. As we packed up to leave and the kids shouted their farewells, I smiled. My kids aren’t’ perfect – far from it. But they are precious works in process – just like me. 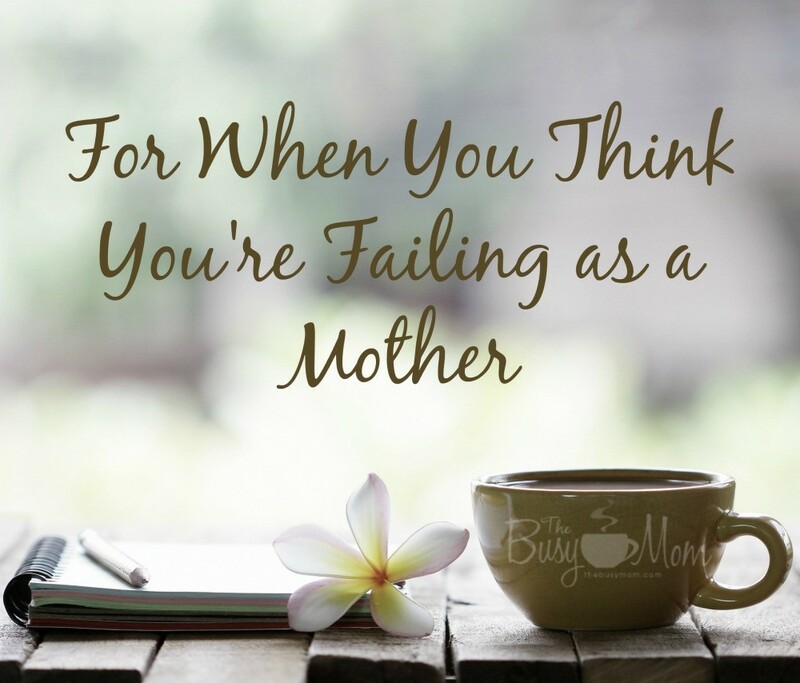 Dear mama, if you’re fretting about your kids’ behavior, I want to encourage you that we all are! Never lose heart that the consistent, daily reminders and even consequences and teaching that we give our kids will result in young people who help, who are kind, who are patient. My daughter’s eyes shifted nervously, avoiding my gaze, as she threw her clothing and makeup haphazardly into her suitcase. She would be 18 in a few days and had made clear her intentions – get out of our house and get out fast. 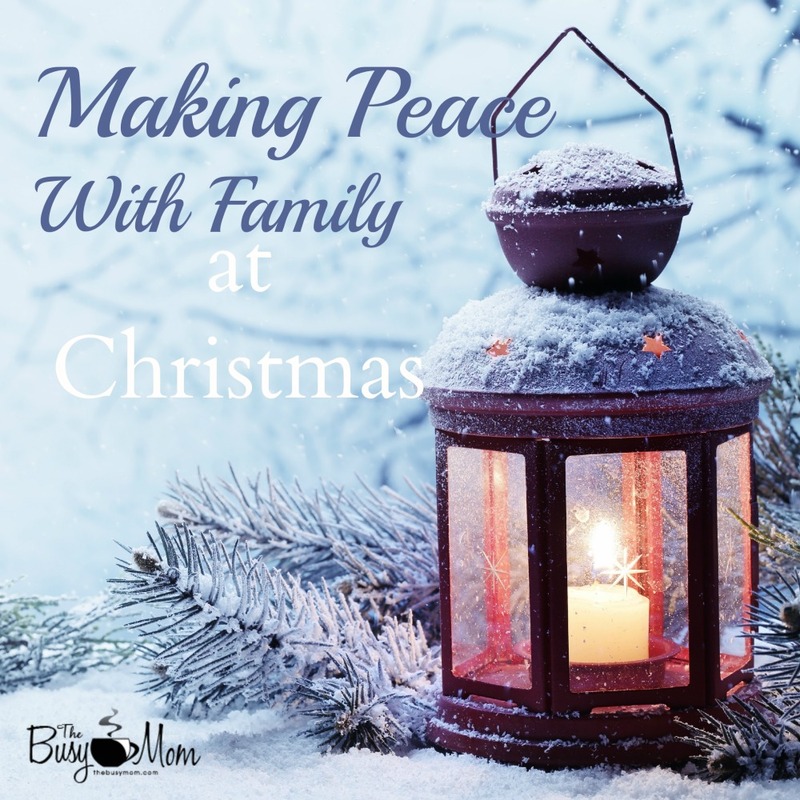 Homeschooled her whole life and an easy going, cheerful child, there had been little to prepare me for what was happening, and try as I may to dissuade her, she was determined to go. That was 3 years ago. That daughter is now happily married and joyfully back in our family. I’m not going to lie, it has been a long, hard road with many heart breaks and hurts along the way. Have you ‘done everything right’ and still had a child jump ship? You are not alone! 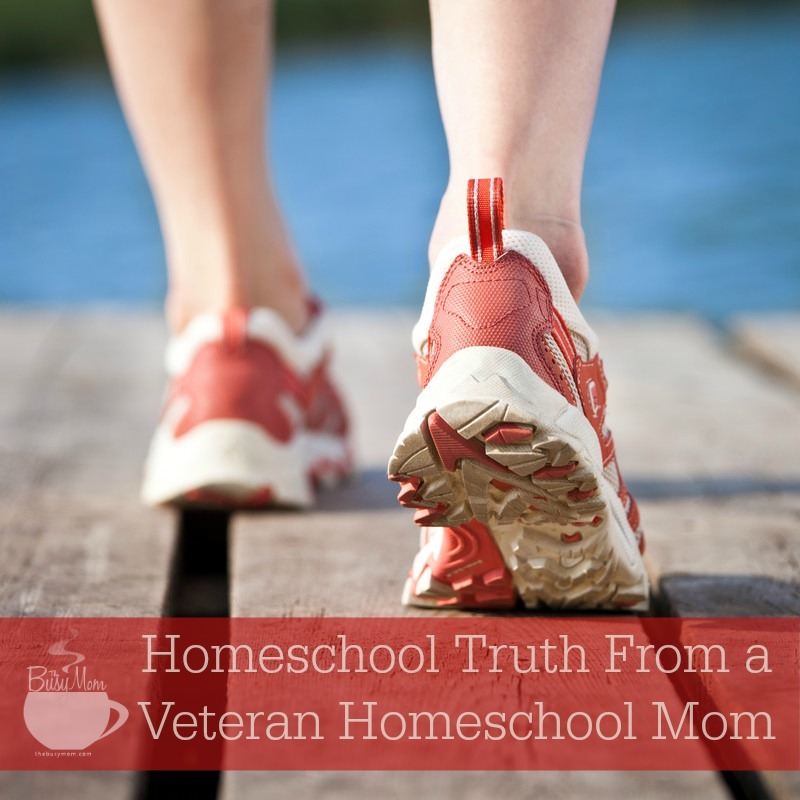 I walked around with my head hanging in shame for months after our daughter left, believing that it was my neglect of some aspect of her education or upbringing that had caused all of this. Surely it was my fault that she rejected our family and our beliefs! I wracked my brains at night, unable to sleep, as I relived the key moments of her life. Did she eat too much junk food, too many carbs, too much protein or not enough? Did she watch the wrong TV shows and movies, or were we too strict? Was our theology wrong? Were we too legalistic or too liberal? Did we miss some other critical opportunity in her life? The answer to these questions is yes, and no. There is no perfect parent. We surely made many mistakes along the path. But that is not why our daughter rebelled. Adam and Eve did have a perfect parent. They had the perfect environment and the most accurate theology possible – received straight from the mouth of God! And they still rebelled. You see, your child, like Adam and Eve, has free will. Oh, they know the truth, you have taught them well. They know the truth and they have chosen to rebel, just like every other person, including you and me. Your child may blame you for their poor decisions, but ultimately the decisions are their own. 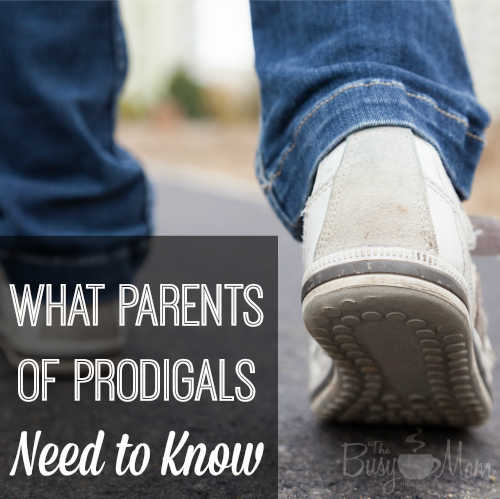 There are two things that I have learned from being the parent of a prodigal. There are lots actually but we’ll save those for another day. Keep your focus on Jesus. 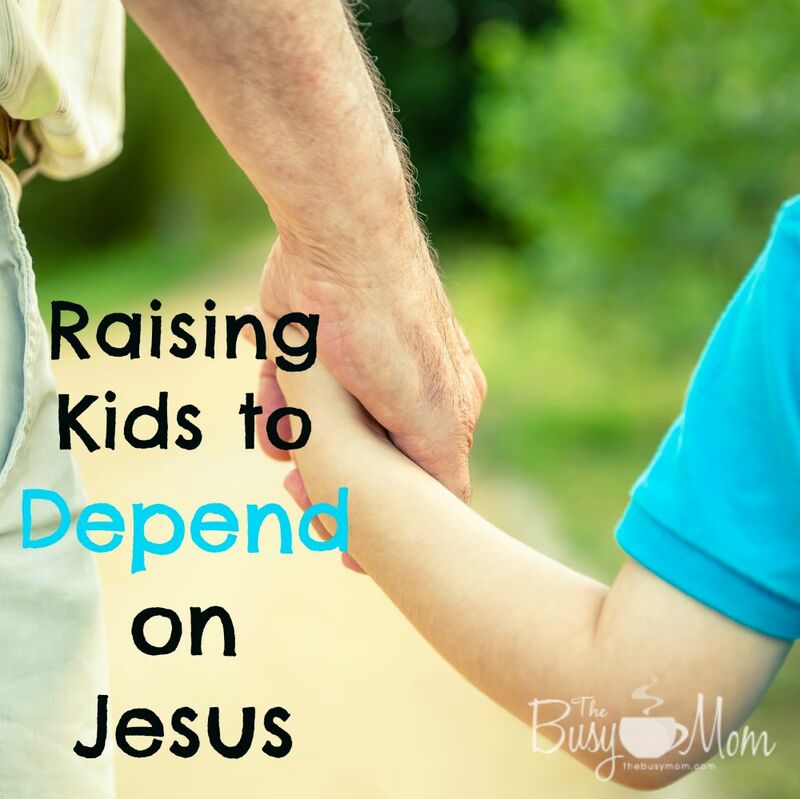 Take your eyes off of your child, your parenting and the hurt you are feeling and put them on Jesus. Get on your knees and get in the Word. God will use this experience to refine you, dear mama! By staying close to God and listening for His guidance, the lessons are learned much quicker than if we are kicking and screaming the whole way. I wasted a lot of time worrying, blaming myself and thinking about what others thought of me during those three years. I had trouble remembering that God was working all of our experiences for the good. He wants us to check our hearts, to be sure, but He is kind and gracious. It is our enemy that wishes for this to tear our family apart. Our earthly struggles are not to bring shame, they are to bring wisdom and humility and to prepare us to encourage others with the encouragement that we ourselves have received. What God wants from us is that we learn to walk by faith, not by sight. Do you believe that God is in total control of your situation? This kind of faith only comes through testing. A faith not tested is a faith not true. Being refined is not comfortable nor is it enjoyable. Take it from me, however, as we wrestle with our doubts and fears, God will faithfully bring us to a place of quiet rest – in Him. Give God the driver’s seat. This next lesson is difficult to share but I pray that God will use it for good. God used the pain and humility of having a prodigal child to show me how I had created an idol out of our homeschool and parenting methods. I was so sure that we were ‘doing it’ right, that we had cracked the code of parenting. Our kids were doing great, our marriage was strong. This, my friends, is a recipe for disaster. As parents, especially homeschooling, Christian parents, it can be too easy to think we have discovered the correct way to produce good kids. Don’t get me wrong. 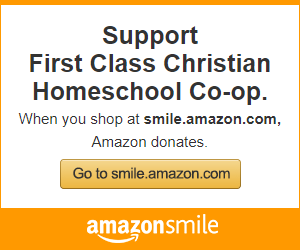 I’m a huge proponent of the benefits of Christian home education. But there is no formula for raising kids. 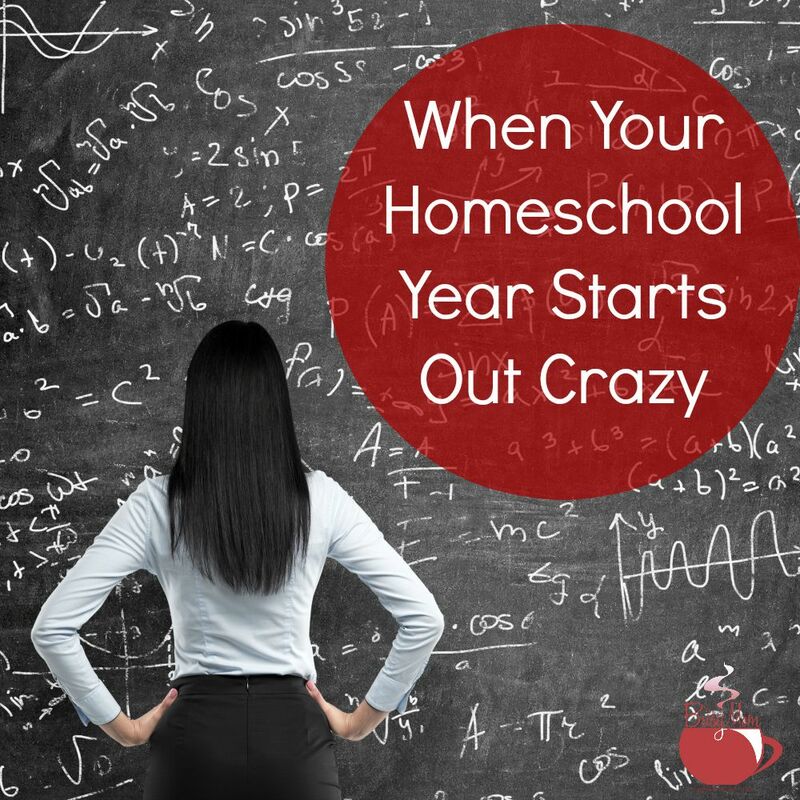 Somehow, after surviving the first few years of homeschooling, I assumed I had it all figured out and all but stopped asked God for direction. Instead of thinking how great we were for raising good kids and having a strong marriage, we should have been thanking God for these blessings. Every good thing comes from God. 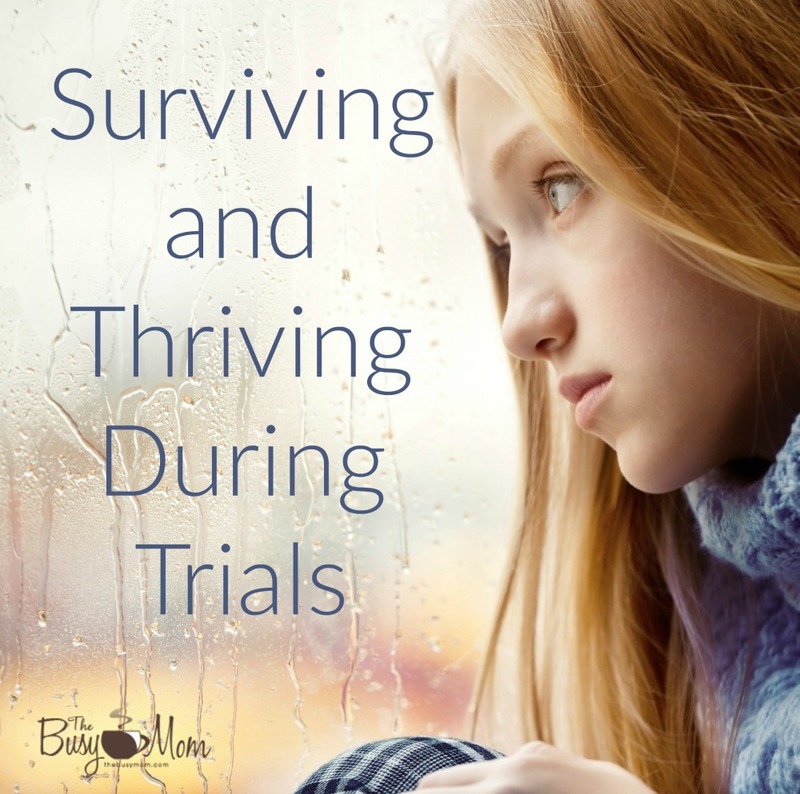 I know that in our family, God has used our trials in many ways for great good. Without them we surely would have kept on doing things in the way that seemed right to us. Our trials caused us to cry out to God for His guidance and direction and the path that he subsequently led us on was far above and beyond what could ever have planned or imagined for ourselves. 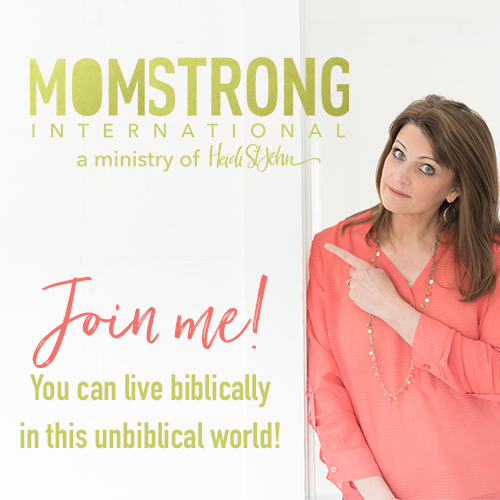 Are you in the midst of a parenting crisis? Please let us know in the comments and we will pray for you.